By Mike Reynolds in Context Menu, Customization, Pipeline, Sitecore on 12/12/2012 . Have you tried putting a breakpoint in each method too see what’s null? 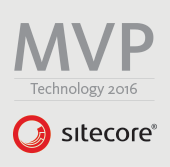 I pretty new to sitecore. Thanks. This is exception is throw after clicking the context menu. A dialog is displayed with this message “Value cannot be null.